Retirement planning is a tricky thing. With so many moving pieces and parts, there’s no one solution that works for everyone. As such, many American adults are not fully confident in their financial security throughout retirement, creating a serious life stressor for millions of workers across the country. According to this year’s Retirement Confidence Survey, Americans were found to be more confident in 2016 than in past years following the 2008 economic slump, but slightly less confident than 2015. The 2016 survey discovered that 21% of Americans are confident in their future financial stability, while 42% are somewhat confident, 16% are not too confident, and 19% are not confident at all. This is down from last year, in which 22% of workers stated confidence in their financial status throughout retirement. Retiree confidence, however, is up; 39% of retirees are confident in their ability to live comfortably throughout the rest of retirement, versus 37% in 2015 and 28% in 2014. Only 12% stated a partial or complete lack of confidence. Confidence in retirement in 2016 is largely centered on the presence of a retirement plan; 16% of those with a plan are very confident and 48% are somewhat confident, while only 10% of those without a plan are very confident with 29% stating moderate confidence. Both categories are down slightly year over year, but still up compared to 2013 and 2014. Whether you have confidence in your future or are unsure about the state of your finances moving forward, it’s important to start thinking ahead before it’s too late. It’s never too early to start preparing for the future, which means considering your options, creating a plan, and making retirement investments a priority, regardless of current financial status. If you don’t have a plan, now’s the time to start. 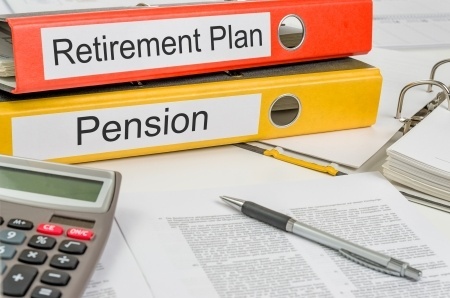 Evaluate the options available through your job, like pension plans, profit sharing plans, and other retirement accounts, like 401(k)s and 403(b)s, as well as independent alternatives, like traditional and Roth IRAs. Many companies offer perks like contribution matching, providing an opportunity for your job to help further your savings goals. Be sure to be proactive and ask your employer about matching contributions. If the market drops again, will you be protected? If you can’t answer that question, it may be time to consider how you’re saving. Diversifying your investments at any age can serve as a hedge against inflation and market movement, giving you a buffer should things change for the worse. However, when looking ahead specifically to retirement, be sure to also consider insurance options like fixed index annuities. Fixed index annuities can guarantee a set amount of income for life while also protecting your retirement savings from market losses. They can be a small solution for those looking to increase their retirement confidence. Planning for retirement alone can be extremely stressful, especially when you aren’t sure if you are making the right choices for your career and your family. By turning to trusted professionals, ranging from financial planners to investment managers, you can build a retirement plan with confidence. When you’re looking for a place to start, Annuity Watch USA can provide a wealth of information, helping you take a realistic look at your current financial situation and your options for retirement. Your family and your life are worth the investment, which is why Annuity Watch USA has the tools necessary to help you build a plan and gain the confidence in retirement that you deserve. Contact us today to see how Annuity Watch USA can help boost your retirement confidence.